Remembering The Strong Voice of VS Naipaul - Bold Outline : India's leading Online Lifestyle, Fashion & Travel Magazine. 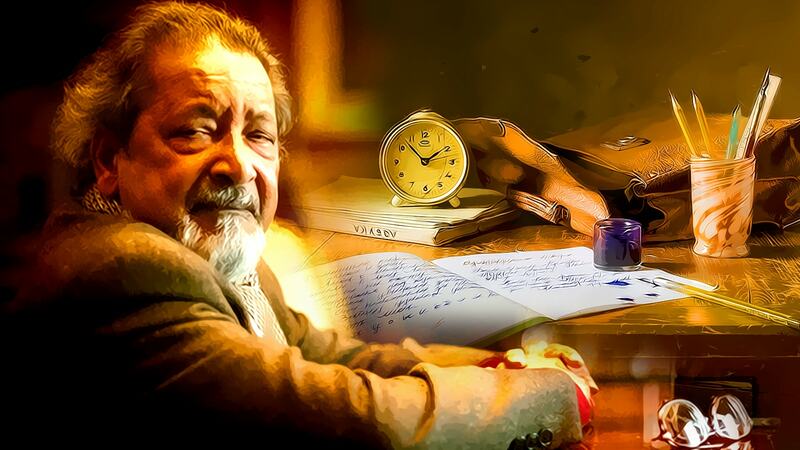 The world has lost a literary genius in the passing away of Vidiadhar Surajprasad Naipaul—the Trinidad-born, Indian origin writer. A colossal author, VS Naipaul, as he was popularly known, started off with comic novels set in Trinidad and Tobago and later moved to touching yet cynical accounts, both autobiographical and essays. A prolific writer, VS Naipaul wrote more than 30 books in his long literary career and was the recipient of the prestigious Book Prize in 1971 as also the elusive Nobel Prize in Literature much later in 2001. His misogyny was apparent in many of his utterances too. He was known for his temper and for his melancholic personality. But, no one can take away the rich and intense prose he wrote. While he won many enemies, he also won over people who admired his work, which were penetrating, at times, dark, yet laced with a simplicity that would win any reader’s heart.